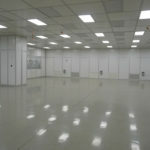 Modular cleanrooms (or “clean rooms”) are most often used in manufacturing and examination facilities. Thanks to their robustness and simplicity of installation, they are found to be useful in other new and fast-growing industries every day. Industry or Applications where minute particles may have an adverse affect on production or manufacturing or on the packaging processes can benefit significantly from the use of a modular clean-room. 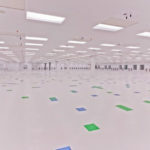 By proper definition, a cleanroom is defined as a controlled environment with a decreased level of pollutants such as aerosol particles, airborne microbes, dust, and chemical vapours. 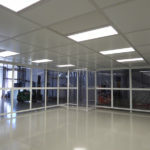 Softwall PVC panels: Clear/Opaque PVC Softwall panels: These provide a durable and excellent barrier against the uncontrolled environment outside the cleanroom as well as a brilliant resistance to solvents and fluids. The primary advantage during usage is that only a small opening is created when exiting or entering the cleanroom. Softwall panels can also be used as full Softwall cleanrooms or as an entrance for Hardwall cleanrooms. 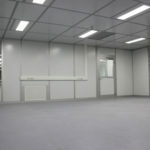 Softwall panels are also used for dividing the modular cleanroom internally. Clear rigid PETg Hardwall: This is constructed from PETg with robust and a high level of resistance to fluids and solvents and offers brilliant visibility due to its transparency. This allows for observations to be conducted from outside the cleanroom thereby. All panels can feature company branding, provided they are provided prior to installation and will be used for external walls or viewing panels and possibly for internal divides. 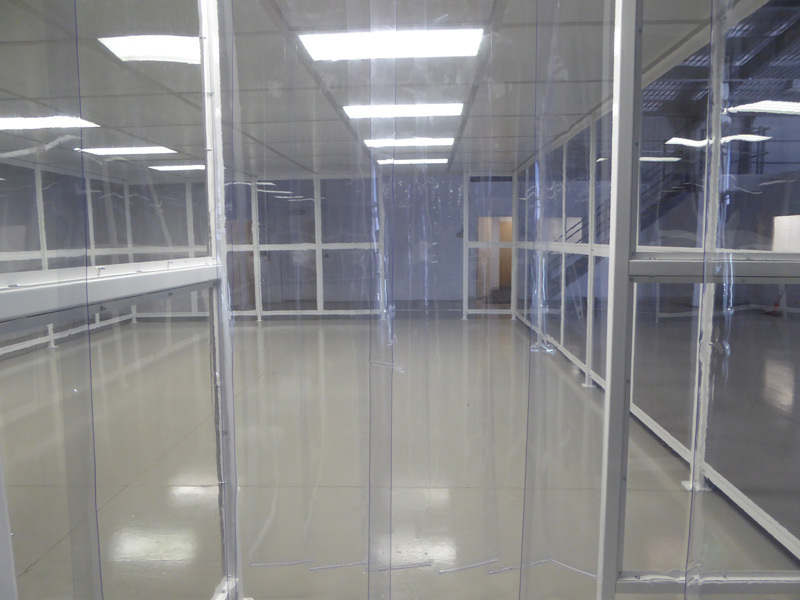 Panel system: Ceiling and wall panel system has an advantage in that it has an additional structural option to their bespoke modular cleanroom range. The panel system is an off-site pre-constructed solution that provides an increased level of customer choice during the planning of cleanroom solutions. The panel system provides firm joint lines for fully tint finishes which will ensure a structure that can be customized to include all cleanroom parts including, transfer hatches, steel-skinned doors, windows etc. 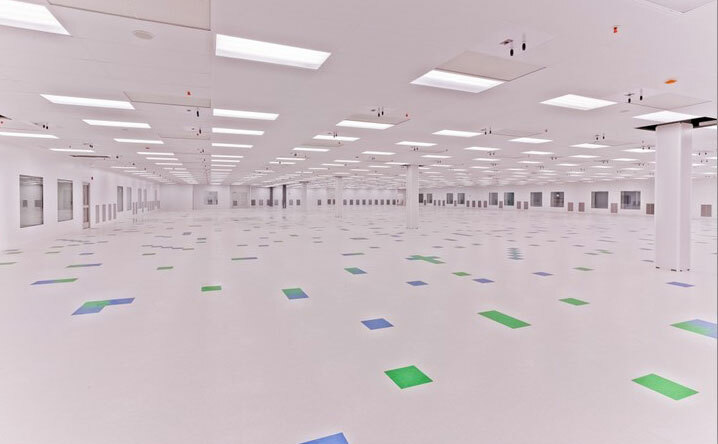 The type and design of the cleanroom is largely dependent on the production requirements and the standards that need to be met and maintained. The cleanroom design and specification of components, surface finish and materials is done at a very early stage and may be done in consultation with a supplier like Cleanroom-Solutions. The cleanroom construction then consists of the manufacture, assembly and commissioning of these components in accordance with the detailed design. The mono-block system: can be made up of two metal facing wall or ceiling sheets that are machined to tight tolerances and then are powder coated and treated according to the cleanroom design requirements. 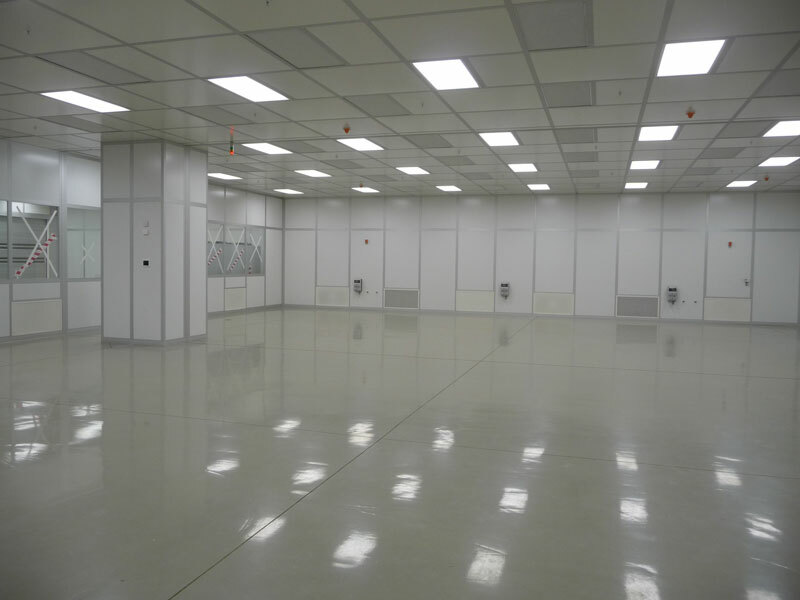 These types of cleanroom walls are mostly used for pharmaceutical cleanrooms, heavy duty construction and mostly for fixed layouts of various rooms. Modular wall system: This is a single shell or double shell framed walled system. Modular structures made from glassware, aluminium or other various types of panel are mostly ideal for applications in semiconductors. 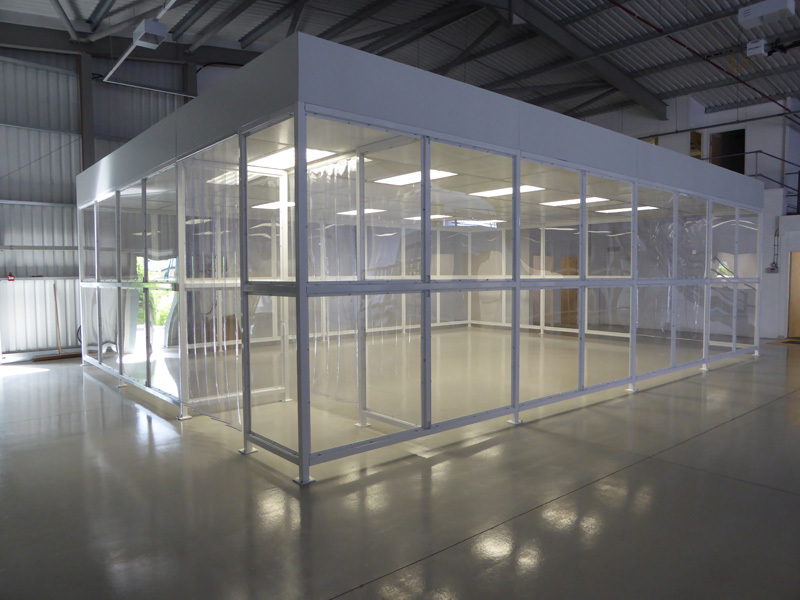 The key advantage of modular cleanrooms is that they can easily be adapted to any layout or change in production requirements. It should be noted that Softwall cleanroom maintenance is simple but requires adequate cleaning to ensure optimum performance. 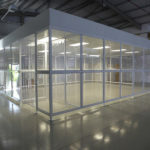 Software modular cleanrooms are designed for functionality and reduced expenses while providing many the important advantages of modular construction. They are like tents with lightweight and easy to assemble structures that can be installed either free-standing or suspended from the ceiling of a building. Software cleanrooms are generally smaller, portable and can fit into any tight space. The portability design enables the cleanroom components to be easily transported to another location or disassembled and kept. Because of their relatively reduced cost of production, Softwall cleanrooms are ideal for small or startup businesses, or producers looking for a fast, easy and efficient method to expand their cleanroom services. 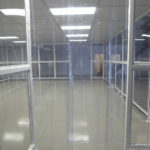 These cleanrooms also are ideal for eLiquid cleanrooms. The rudimentary building block of the Softwall cleanroom’s modular design is a divided ceiling structure made up of tube-like steel beams with T-bar cross units. 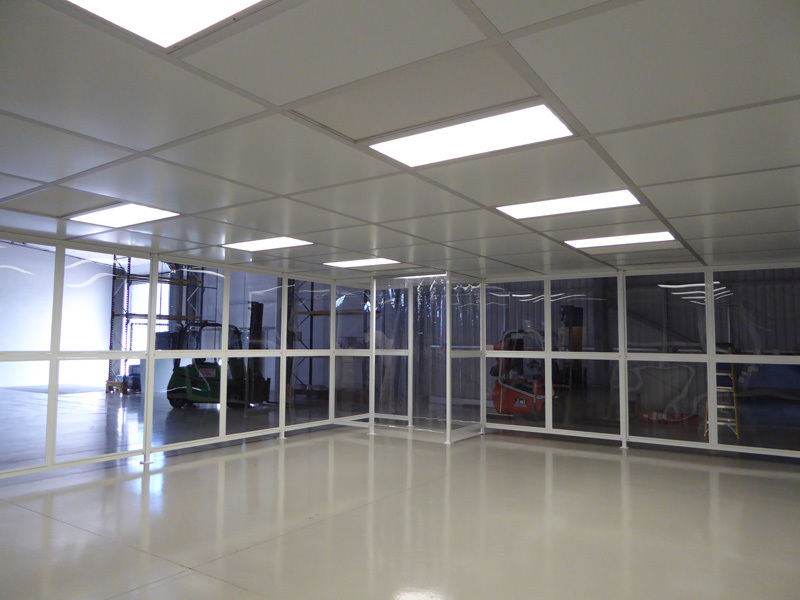 This interlocking ceiling network enables simple assembling and cleanroom expansion. The ceiling is braced by tubular steel legs at each of the four corners and secured with a substantial gauge, triangular steel extension. Powered HEPA filter units, ceiling panels and lightening systems are bolted to the framework using gaskets. The HEPA filters also offer an extra block against particles present in the cleanrooms, while a controlled airflow design works against contamination. 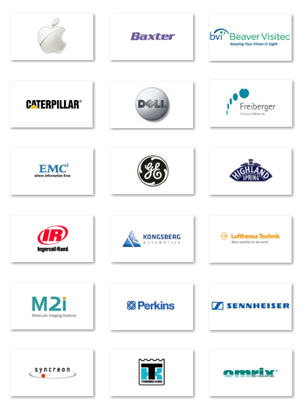 Like their Hardwall counterparts, Softwall cleanrooms possess a wide variety of options available reliant on customer’s want. 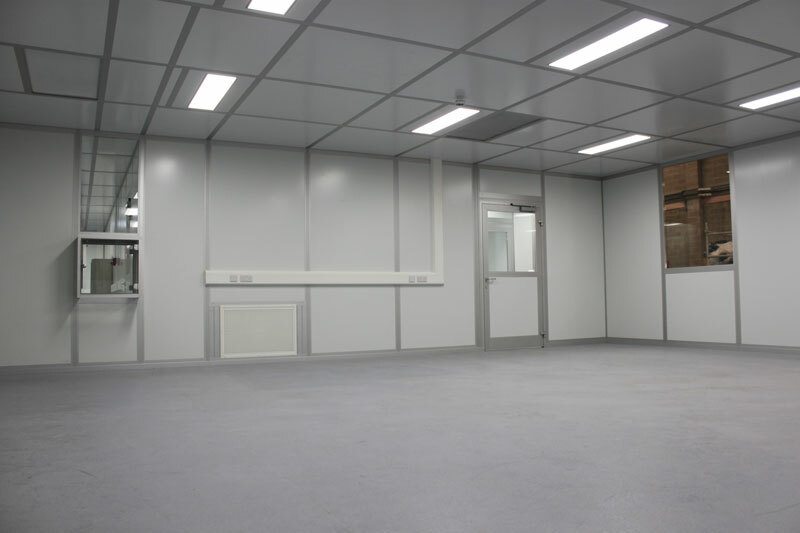 Gowning rooms can simply be added to the cleanroom. They are easily movable and can be transported along the exterior perimeter of the cleanroom for alternation or adaptation to production processes. If specified, Softwall cleanrooms can be mobile. When equipped with elective braked casters, they can simply be moved to a new location within that same facility.